Walking a dog seems like a routine activity but a good walk always starts with preparation and the right equipment. As an experienced professional dog walker I have found some of the best gear, tools and supplies to have from the beginning to set you up for successful walking. Picking up dog poop: it’s a stinky, thankless job, but we all gotta do it. But there are so many bags to choose from! How do you pick? What’s the right choice? Fortunately for you, I have tried 20 different brands over the years and I keep going back to the same one. I prefer an earth friendly bag, very large and has a scent. My go to is Pogi’s Poop Bags! I highly recommend checking out the Leatherberg it has never disappointed me. Whether you use a harness or a regular flat collar will depend on the type of dog you have- do your research and test a couple different collars and harnesses out! If you are starting with a harness I recommend a Sporn harness. 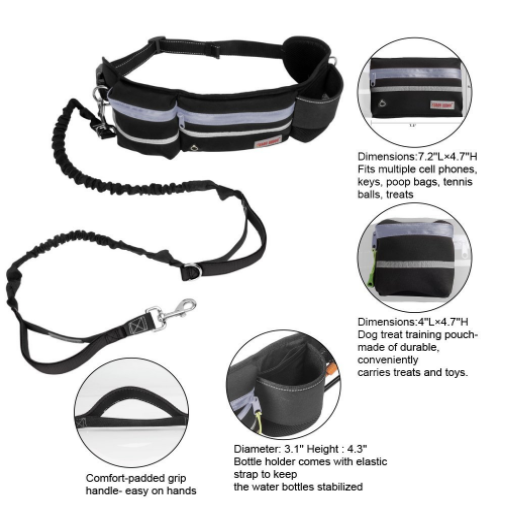 I have been using Sporn dog harnesses forever. If a collar is a better option then I recommend a Martingale collar— same concept as a slip lead but in collar form. 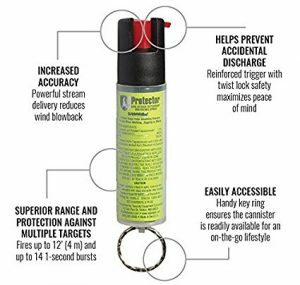 A safe, yet effective, all-natural dog spray to help deter dog attacks. Helps prevent injuries to you, your pet and the attacking dog. Sabre Dog Spray is used by police departments worldwide. Officers on six continents and in more than 40 countries carry Sabre pepper spray. I hooked this to a quick release key chain and its attached to my pack. There are so many dog treats out there, it’s hard to know where to spend your money. Not only are they expensive but you want to make sure your dog will like them, they have good ingredients, and won’t make your dog sick. I have client pups in all different life stages, some with allergies, and some who are very picky. I have tried a variety of treats and I have found a treat that not one dog has yet denied! The best part? It only has one ingredient!! 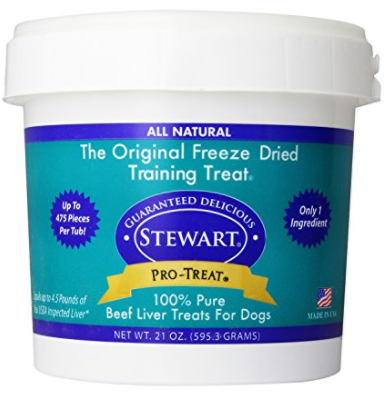 Stewart Dried Liver Treats are the best and extremely stinky- its literally doggy crack! I buy in bulk and put in sandwich baggies for quick grabs. When you head out for a walk what do you do with the poop bags? The treats? Your keys? Stuff them into your pockets or purse? Wear a jacket just so you have extra pockets? What about your gear – your wallet and phone? Do you risk leaving them in the car or do you add them to your already over stuffed pockets? Sounds unorganized and inefficient. Don’t fret! I have used all kinds of bags, fanny packs, bumbags, cross body bags and have even tried to sew my own (bad idea)! After trying a number of bags at the expense of my wallet- I have found a bag I absolutely LOVE. The Furry Buddy, Hello pockets! Its meant for hands free walking (which I never do) but it holds my phone, keys, treats, hand sanitizer, Sabre Spray, and cash. Dirty hands really do poison thousands of people…or in our case: Dogs. I am a hand sanitizer fanatic! I like to try every kind, every smell and sometimes my hands hate me for it. I have finally found a product that does not dry out my hands, smells good, and its a spray- NO GOO! Dr. Bronners Organic Lavender Hand Sanitizer is my go to sanitizer. These made great gifts for my other fellow walkers this past Christmas too! You never know what will happen and it’s good to be prepared! 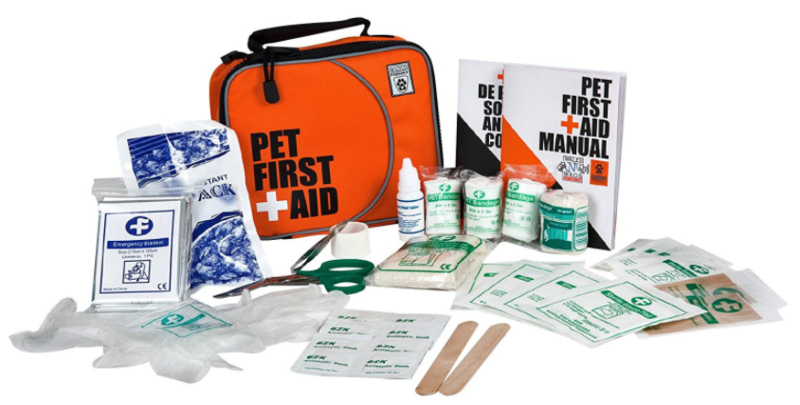 Pet first aid kits provide you all the bandages, tools, and materials you need to ensure you can treat your pet on the spot in case of accident, injury, or illness. I recently purchased the RC Pet Product Pet First Aid Kit for all my walkers to put in their cars and this little thing has everything. Its not too bulky either.